Volunteer registration launches this week for the Larry H. Miller Tour of Utah professional cycling stage race. The online registration process coincides with National Volunteer Week, recognized across the United States, April 6 – 12, 2014. More than 1,200 volunteer positions in a variety of roles and locations are available during the Tour of Utah in August. The volunteer application is available online at the official web site,tourofutah.com. Known as “America’s Toughest Stage RaceTM”, the Tour of Utah has expanded to seven days for the first time in its 10-year history. 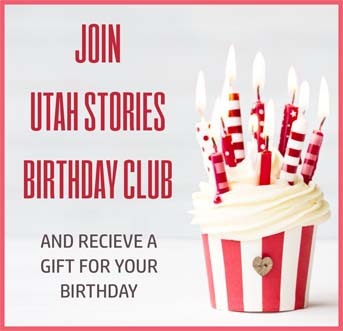 Taking place August 4-10, the Tour will begin in the southern part of the state in Cedar City and conclude in the Wasatch Front in Park City. Other host venues for 2014 include Panguitch, Torrey, Lehi, Miller Motorsports Park, Ogden, Powder Mountain, Evanston (Wyoming), Kamas, Salt Lake City, and Snowbird Ski and Summer Resort. Each host city encourages fans to volunteer for one or more days. Individuals, as well as service groups and clubs, are encouraged to provide their time and expertise for one or multiple days during race week. Volunteers will not only receive the personal satisfaction of helping make this internationally-sanctioned stage race a success, but they will also gain a unique, behind-the-scenes perspective into what it takes to put on a major sporting event. 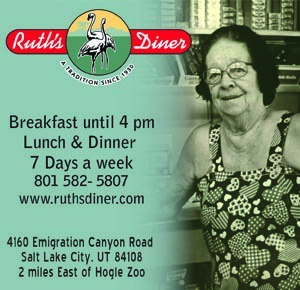 It is the best way to guarantee a commemorative Tour of Utah T-shirt and hat; lunches will be provided daily. The volunteer registration application is centralized on the Tour of Utah website (tourofutah.com), but each host city Local Organizing Committees (LOC) will recruit, train and schedule the local volunteers as needed for its specific stage start and/or finish. Course marshal positions are the strongest need for race week. Additional support from volunteers will be involved with the Lifestyle Expo, hospitality program, security, Green Team and venue preparation assistance. Individuals are asked to designate the start or finish line areas that are preferred for each volunteer position. Applicants are required to sign a waiver with each LOC, and age restrictions may vary by location. 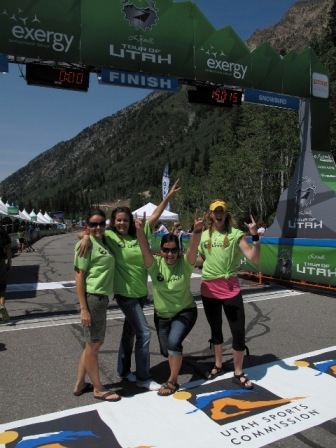 For more information about volunteer positions with the LOC’s, contact volunteer@tourofutah.com. For individuals interested in the week-long commitment as Traveling Course Marshals, contact staffing@medalistsports.com. The Larry H. Miller Tour of Utah continues to be free to all spectators, making professional cycling one of the most unique professional sports in the world today. More information about the Tour of Utah and its partners can be found by visiting www.tourofutah.com, as well as social channelsFacebook (tourofutah), Twitter (thetourofutah), Instagram (thetourofutah) and YouTube (2014 Tour of Utah).